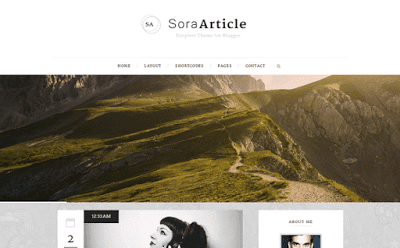 Sora Article Blogger Template is a minimal Theme designed for blogger. It provides many features that blogger will love it. Sticky post, Social share in each post, many post formats such as Video, Audio, Soundcloud(audio), Gallery as grid or slider or column, Quote, Aside.